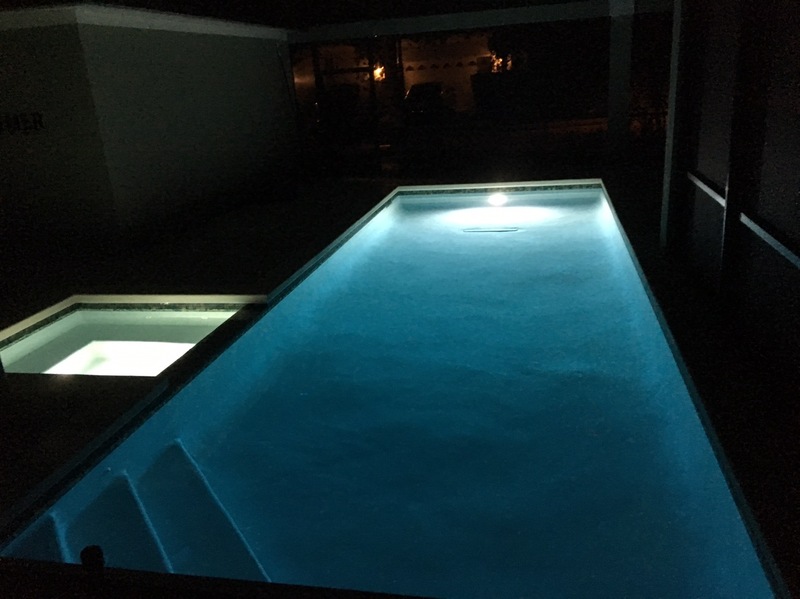 I can finally say that the pool project is done! 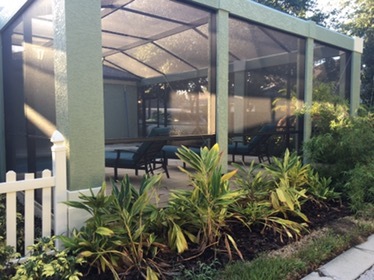 The pictures look great and it is almost exactly what we wanted. Autofill is nothing more than a toilet fill valve. Autodrain is nothing more than a hole in the strainer. These work poorly at best. Would I do it again? Maybe. But I would need to put a lot of thought into how I could avoid all of the stress it has caused me. Considering the amount of pre-planning I put in, I was extremely disappointed with how often the work was done poorly, incorrectly, or late. Only the tile installers were able to continually impress me. I wish everyone would take as much pride in their work as they did. May 1st, 2015. 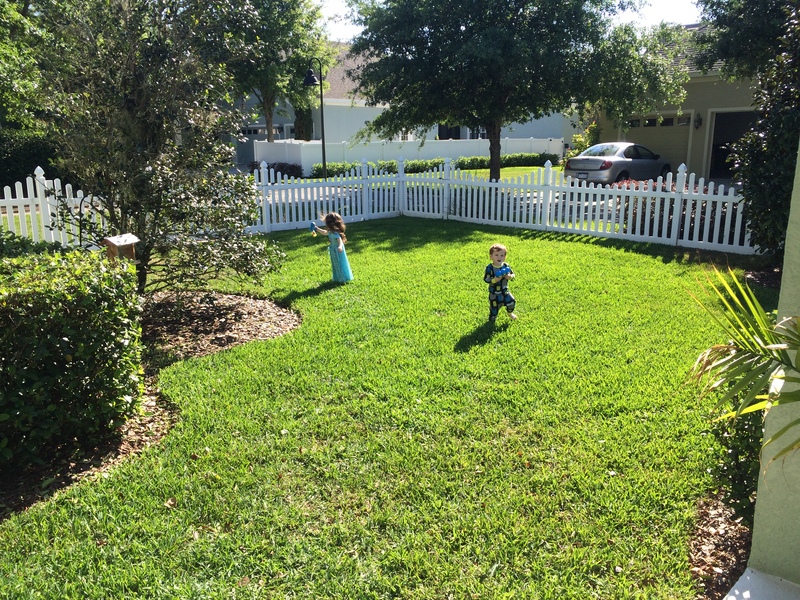 We loved our little backyard. It was perfect except for the holly tree and lack of a pool. 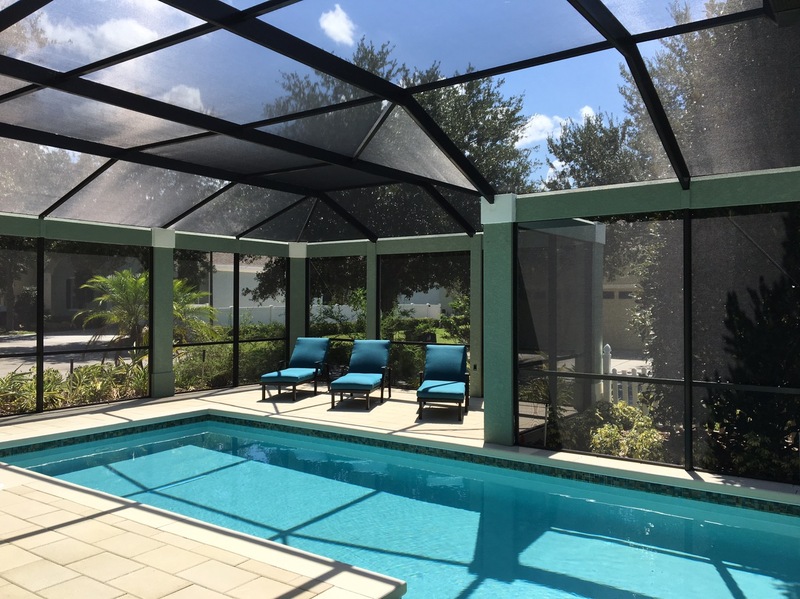 Here is the story of how we started out with two kids and no pool, hired a pool company, and ended up with three kids and one pool. I have a background in Digital Arts and have done a few other construction projects myself so we began working on designs. 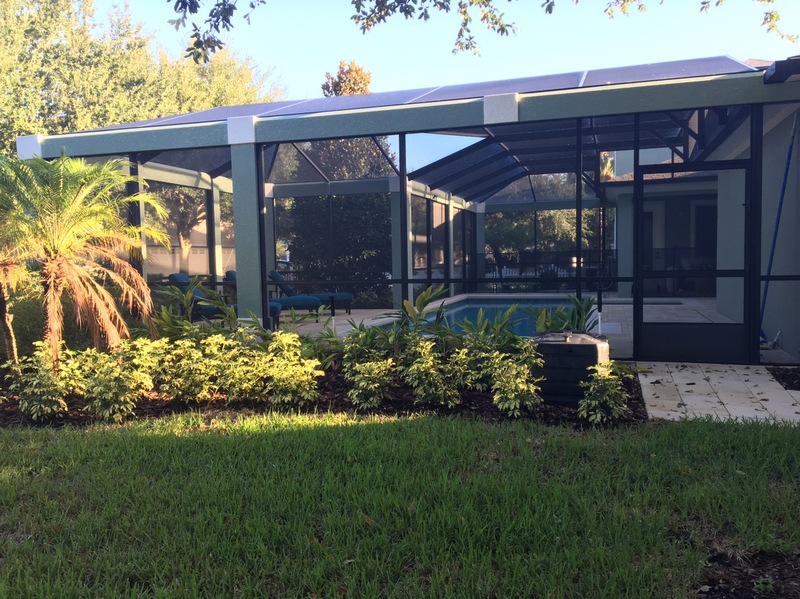 We already had the property survey, we knew the setbacks and easements, and it was not long before we started to visualize what we wanted to build. June 27th, 2015. 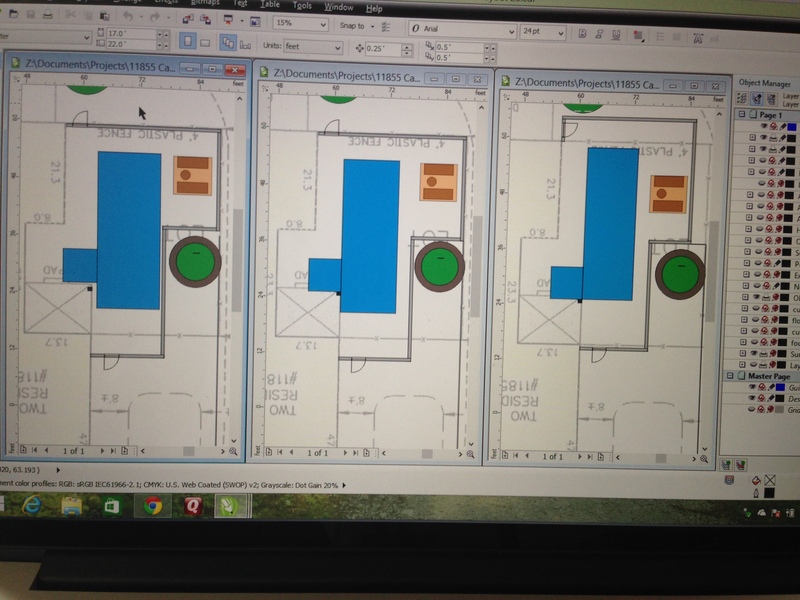 We were down to three, very similar, design options. 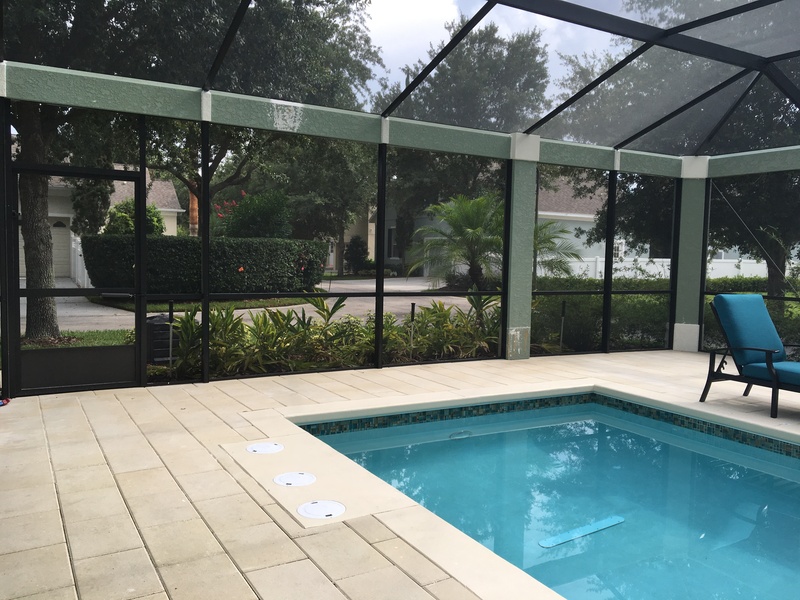 It was time to find a pool company to help with the final details and begin the project. July 6th, 2015. 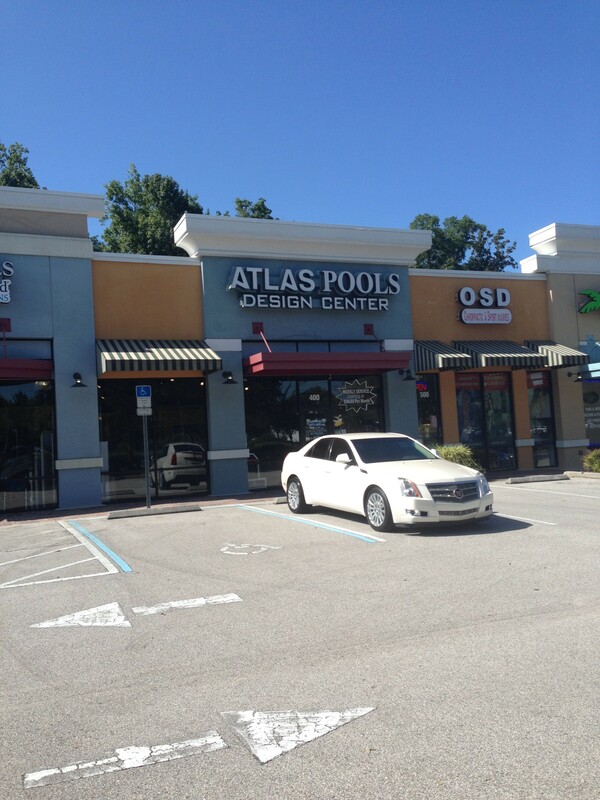 This was our first meeting with Atlas Pools. We came prepared with our designs! 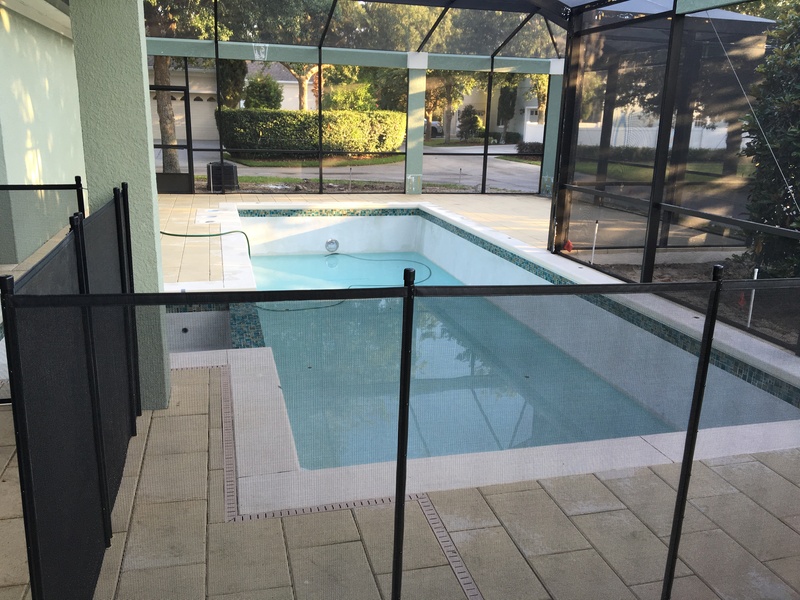 We picked out the tile, deck, pool equipment, and signed on the dotted line. 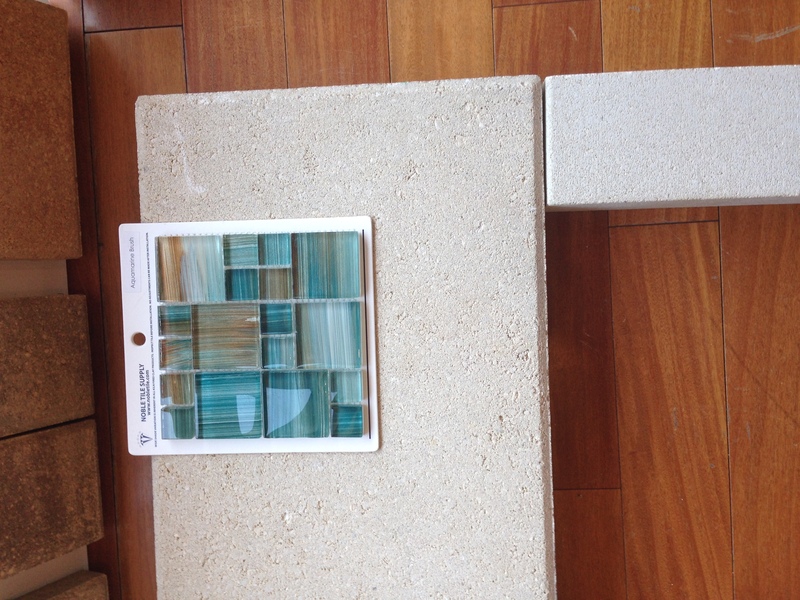 Here are the tile and deck pavers we chose. August 14th, 2015. My wife is now pregnant with baby Jasper. That means in roughly 9 months we will have a newborn. 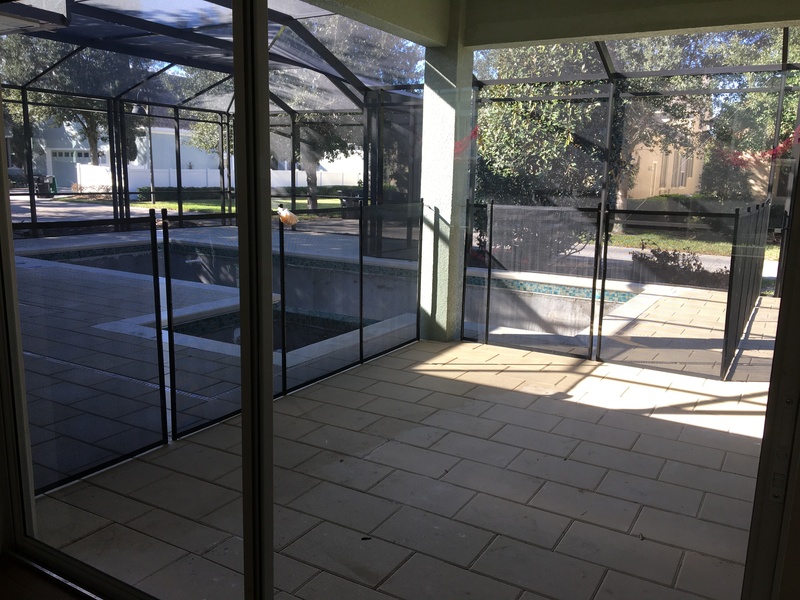 The pool hasn’t been started yet because we are working out some details with the HOA over landscaping, screen enclosure, etc. 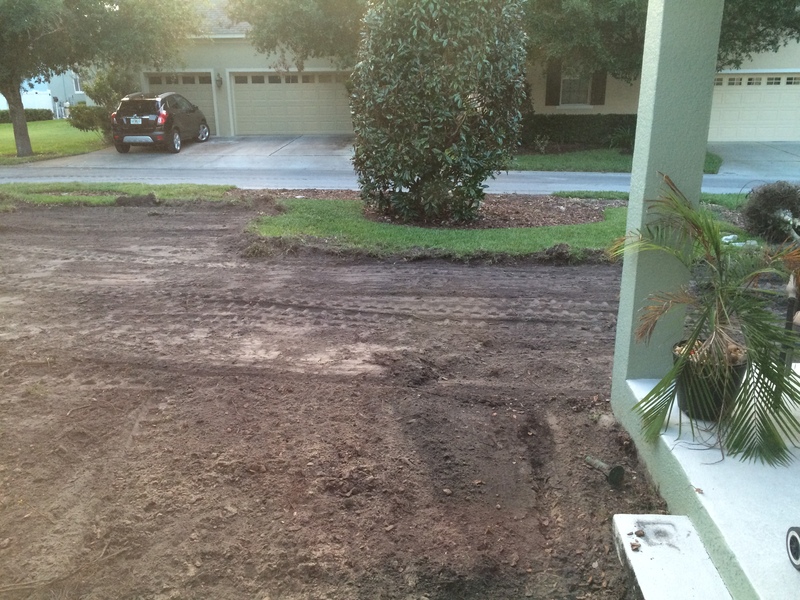 We have a beautiful neighborhood and the extra scrutiny by the HOA was both expected and appreciated. 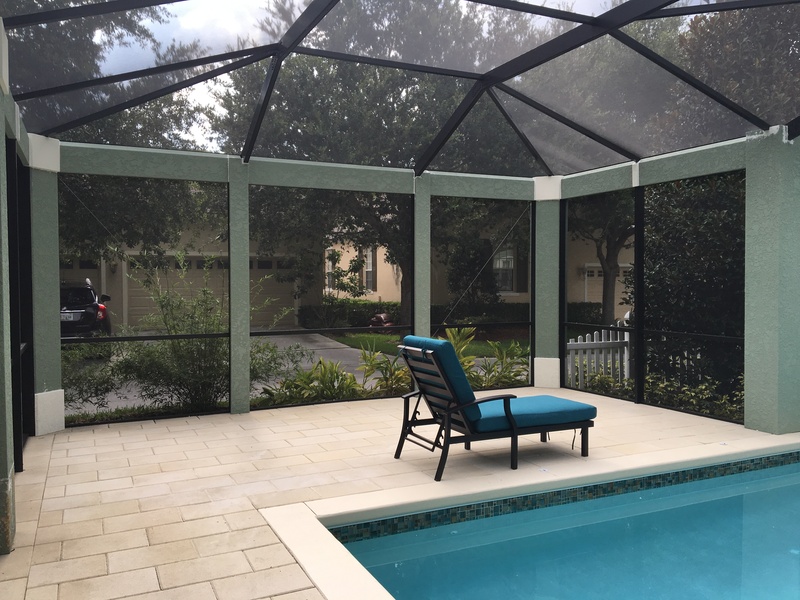 In the end, we were able to come to an agreement by adding an additional row of plants for privacy and ensuring the proper “architectural foam” was used for the screen enclosure. October 1st, 2015. Everything is finally ready to go. I removed the white picket fence and carefully stored it in my garage. 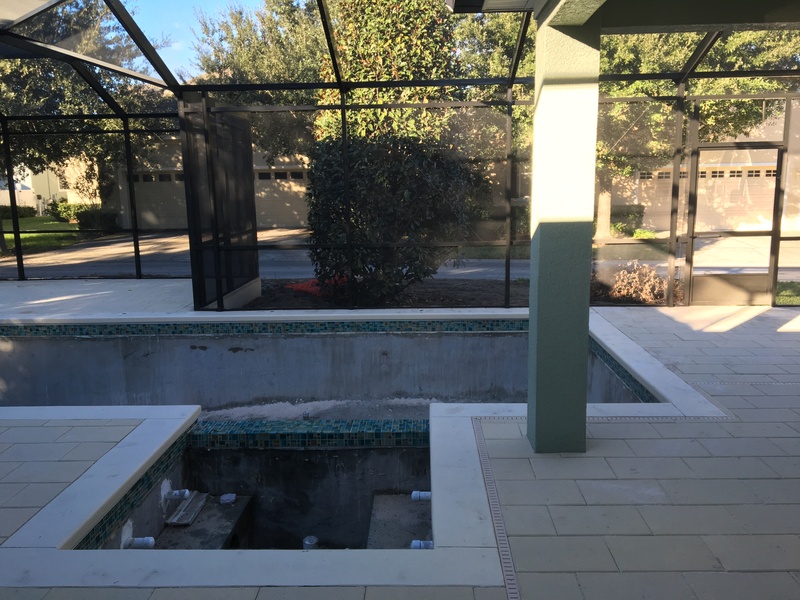 The pool company had the top layer of grass removed before they layout the pool. October 2nd, 2015. 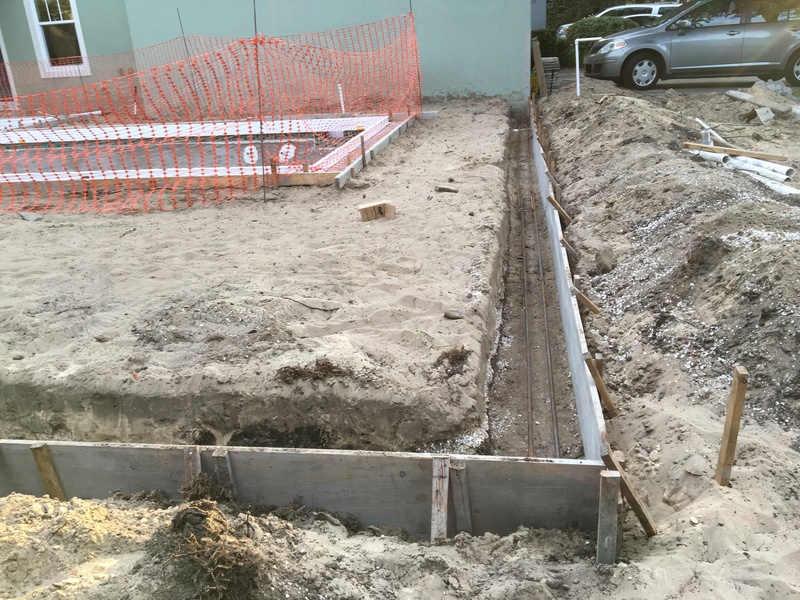 The pool layout is framed out so that digging can begin. Notice that they left some sprinklers? No worries, we had those zones capped off already so it’s ok. The digger ends up ripping most of them out. October 7th, 2015. The dig is complete. 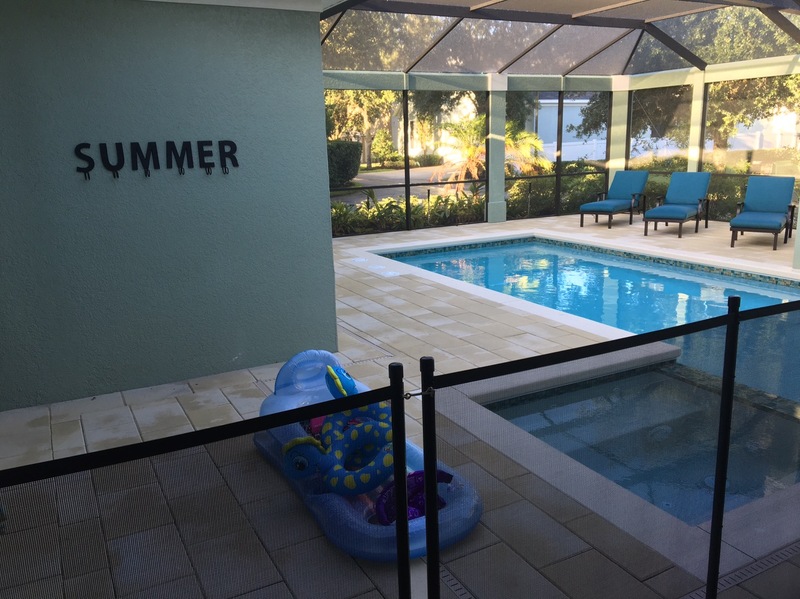 They did a pretty good job except that the pool company did not give them the most up-to-date drawing so they didn’t dig it quite as deep as it was suppose to be (more on this later). 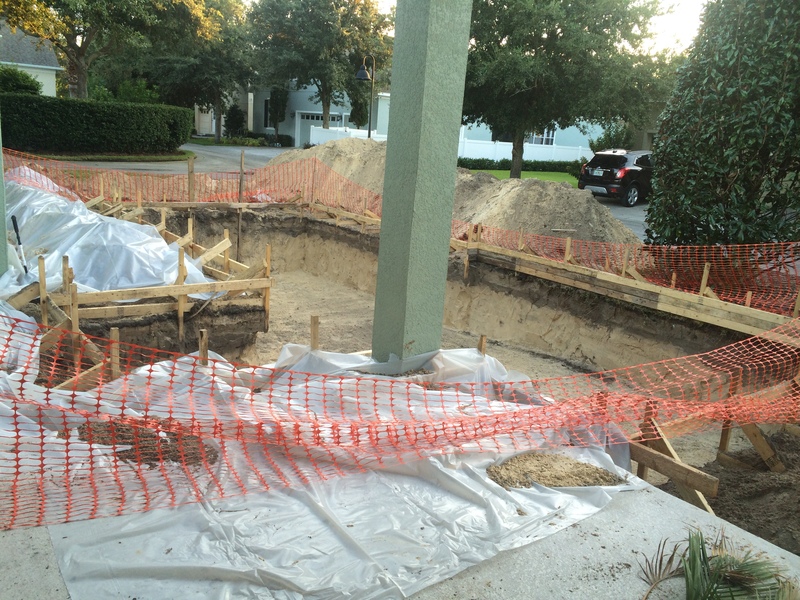 I was told this is the official “start” of the pool build process and the entire thing will be done in 10-12 weeks. That means we should be swimming by December 30th. I can’t wait! October 13th, 2015. 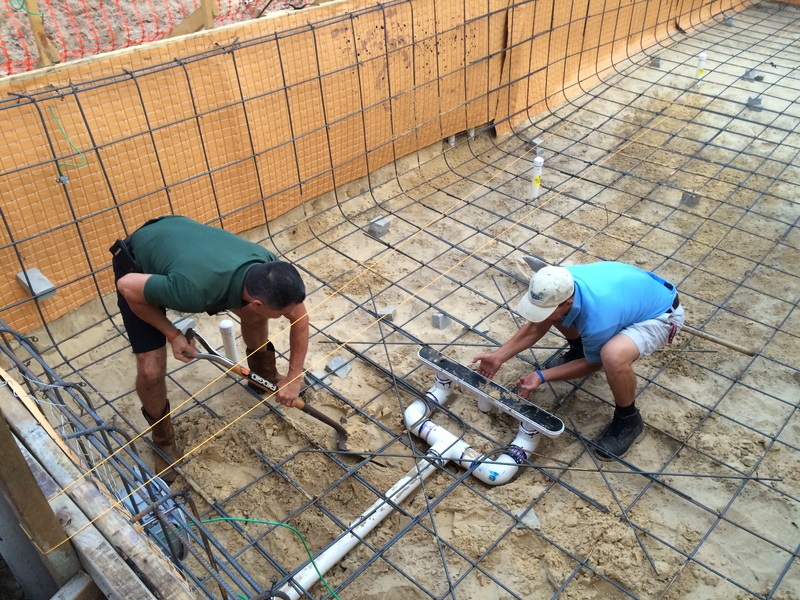 The rough plumbing is done for the in-floor cleaning system, returns, and drains. 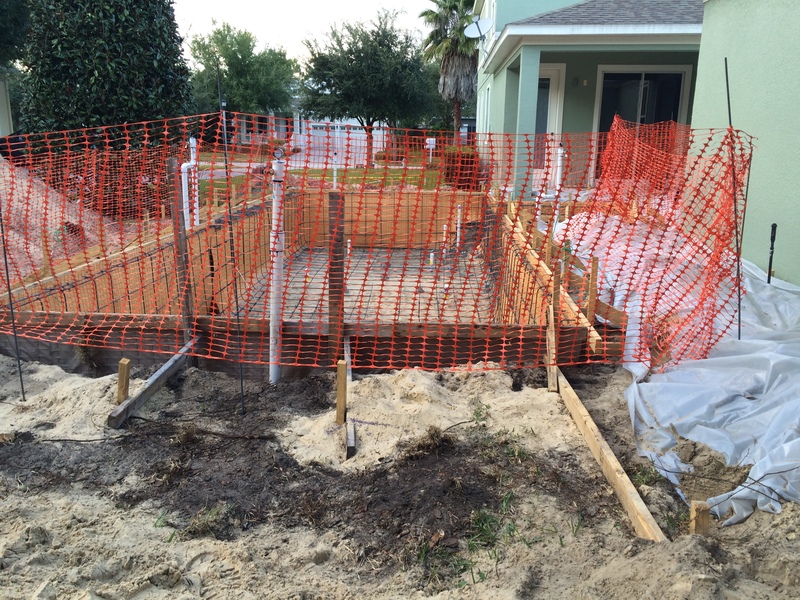 The rebar for the gunite shell is also installed. October 16th, 2015. It is a good thing that I checked the depth and slope because both were way off. The lowest point of the pool needed to be 6 inches lower and the “gradual” slope of the pool would have been more like a water slide. 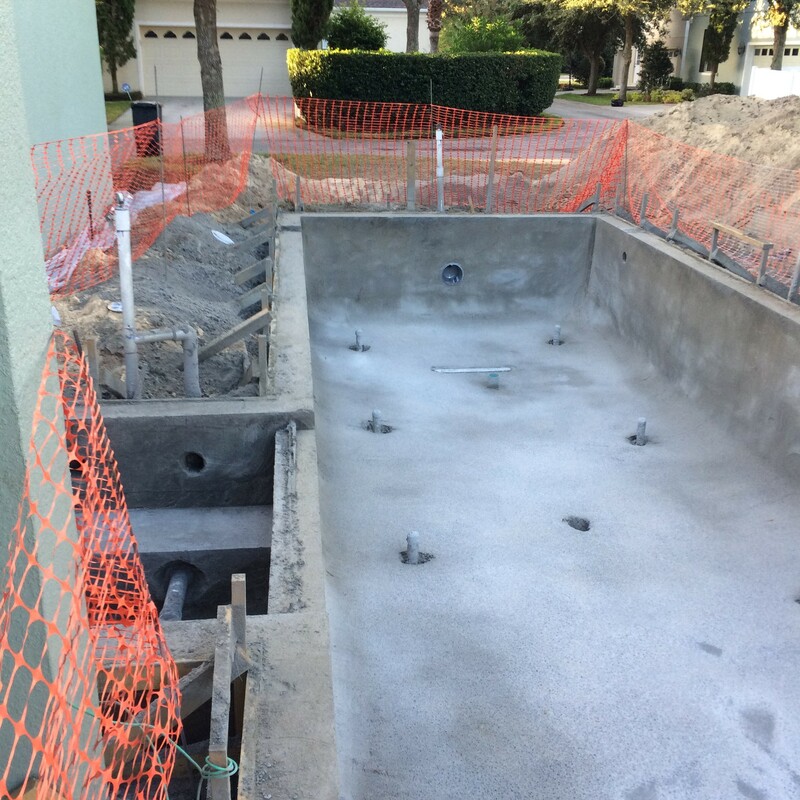 In the picture below, the Atlas Pools salesman and project manager work to lower the main drain and later straighten out the slope. It still is not perfect but it is much better than if I had said nothing. October 21st, 2015. The pool is taking shape, but get used to the view because it will be like this for another two weeks. 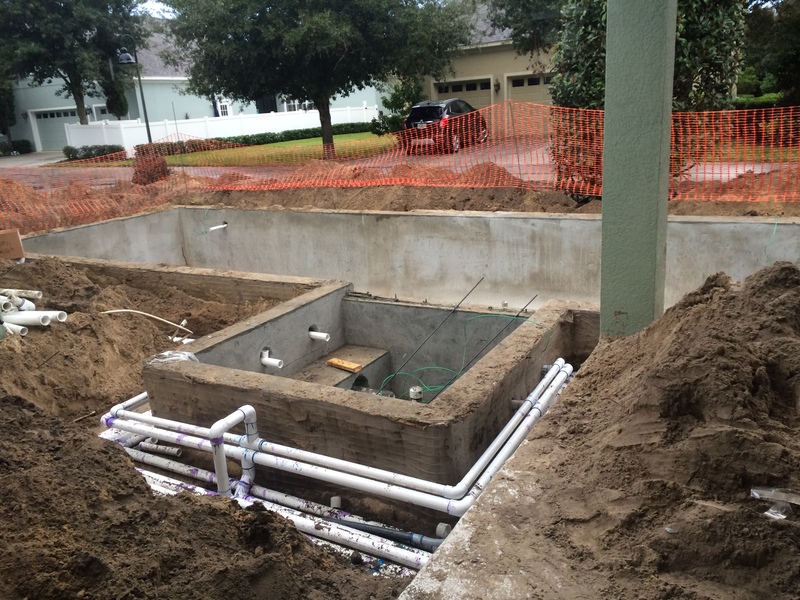 In the mean time, additional plumbing is done and most of the pool equipment is installed. November 9th, 2015. The tile is installed and looks incredible! 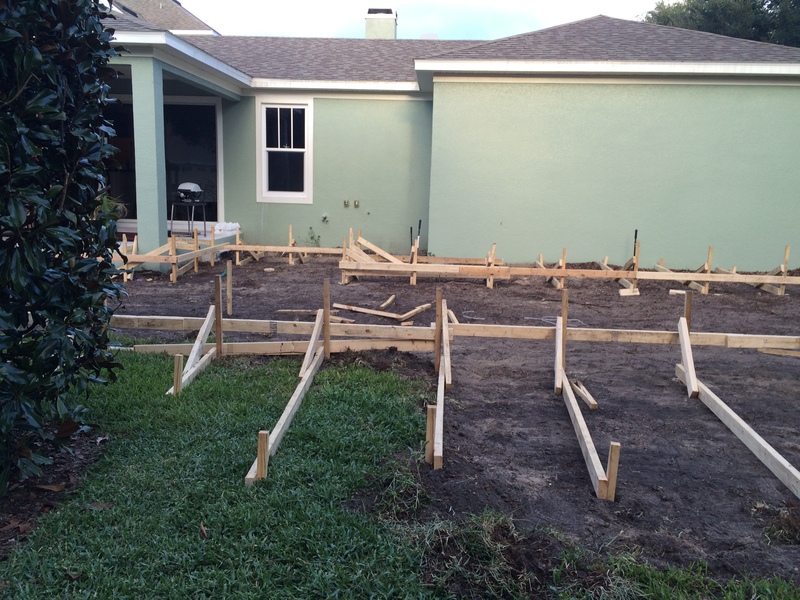 Most of the ground has been back-filled so the deck can be started soon. November 17th, 2015. 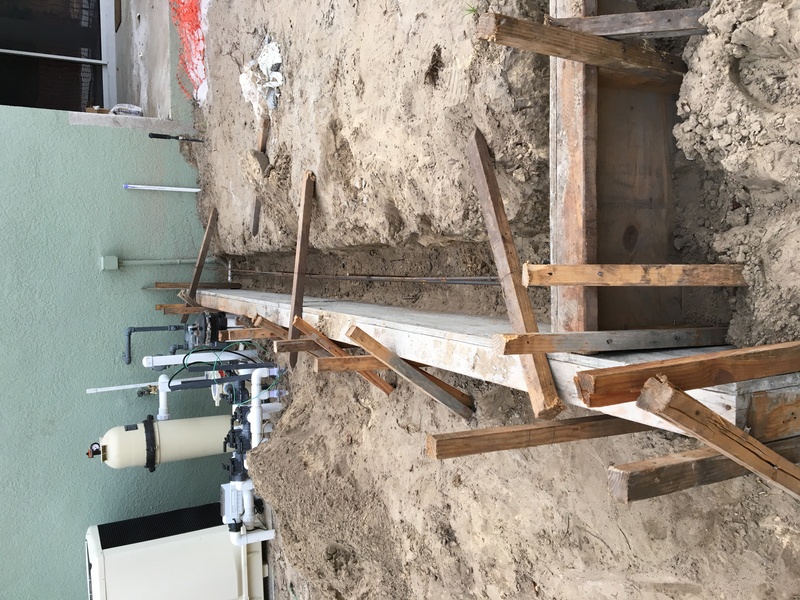 The forms for the retaining wall and coping around the pool are put in place along with some rebar for additional strength. 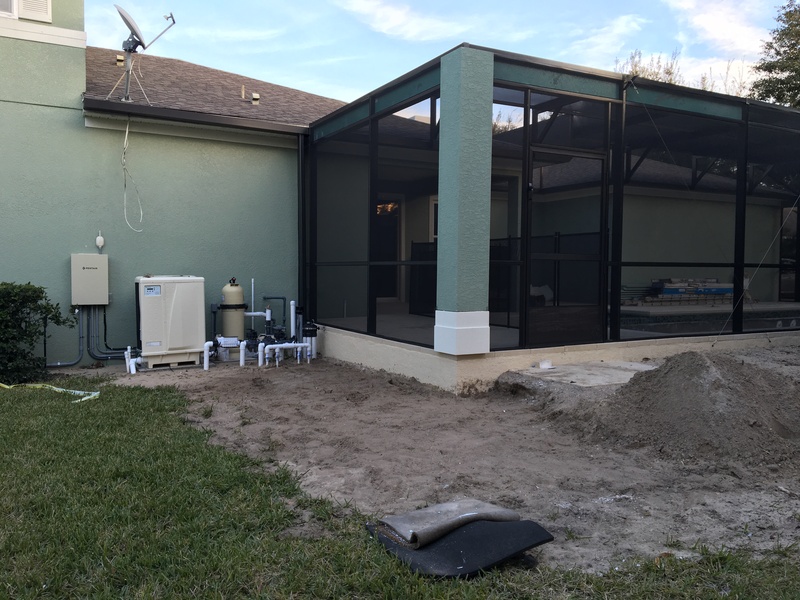 The screen enclosure will be going in around the entire deck once it has been laid. November 19th, 2015. 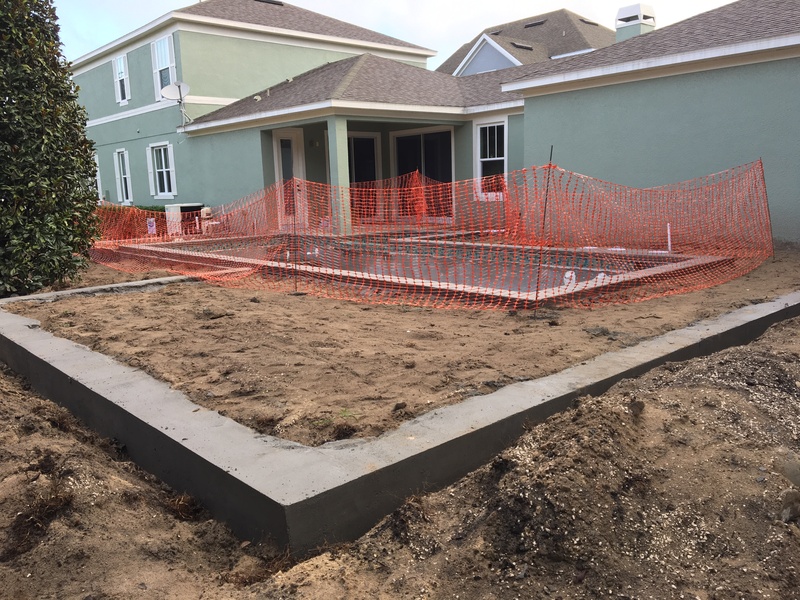 The retaining wall for the deck and the coping have now been poured. It will be another week before they start laying down the deck pavers. 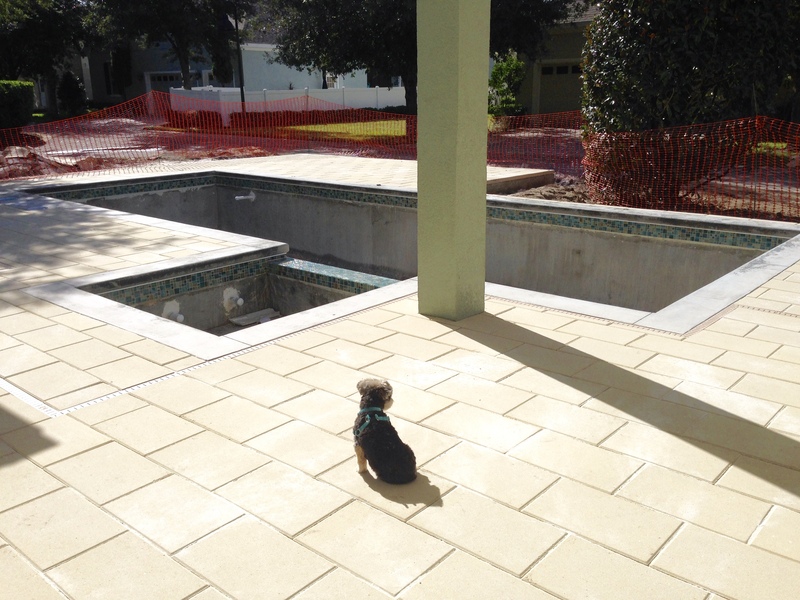 Considering we were promised the pool would be finished by around Christmas, this project is going extremely slow. November 26th, 2015. 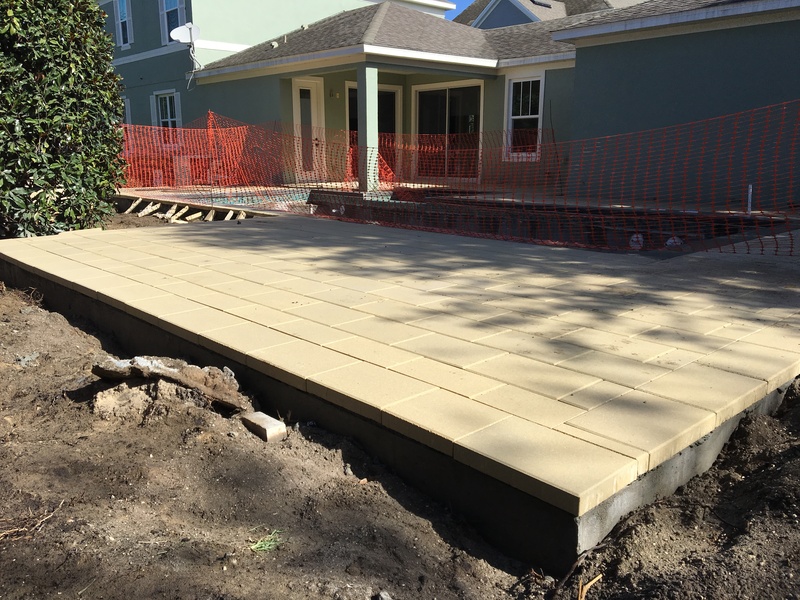 The deck pavers are finally installed and look great in pictures. 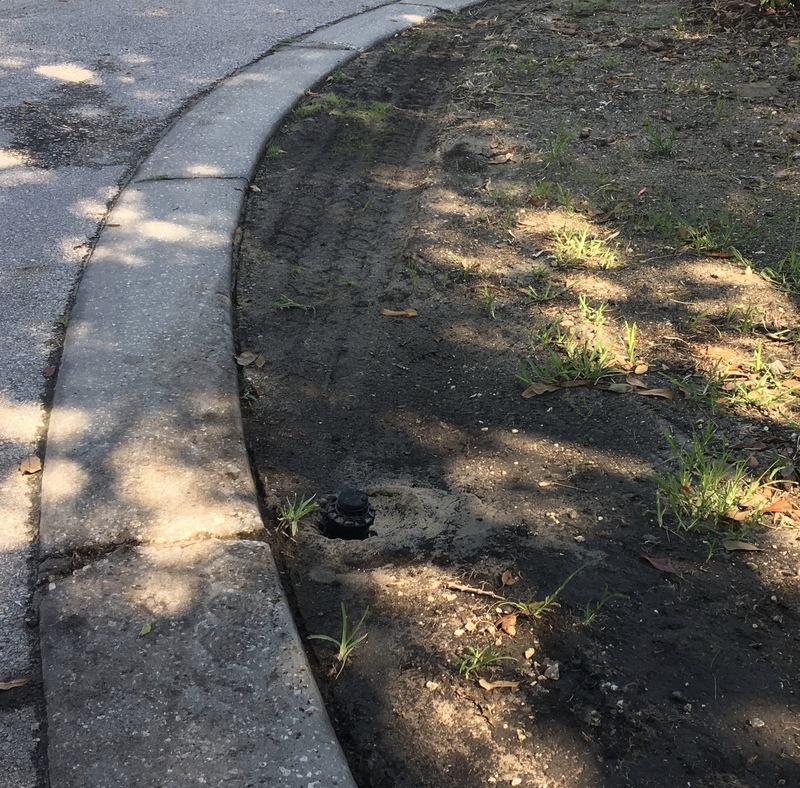 The problem is that the paver installer did a sloppy job. 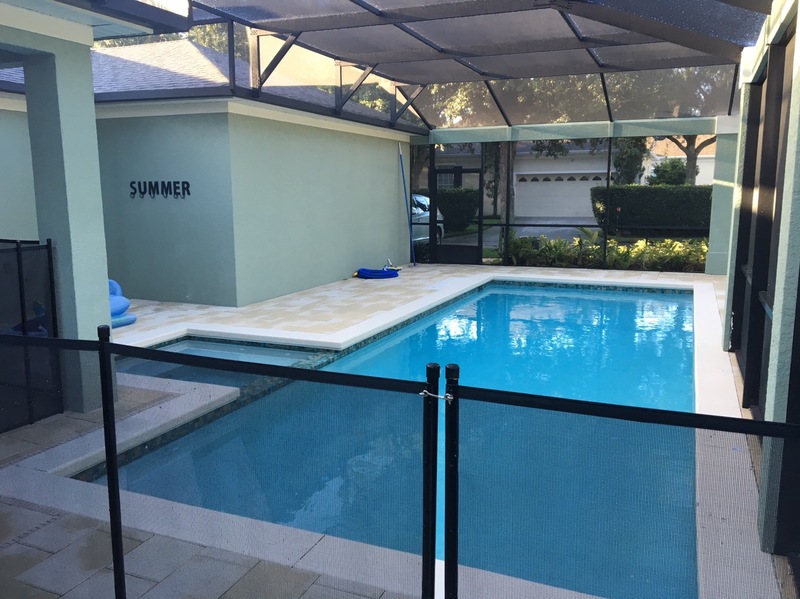 They didn’t make sure that the rows were perpendicular to the pool edge and left some tiny (less than 1″) columns right next to the spa. There were also a few spots that were obvious tripping hazards that would need to be adjusted and they completely forgot one of the door pads. As you can see, our yorkie is pretty happy with the work done so far. Unfortunately, this is all that will be done for the next 4 weeks. December 28th, 2015. 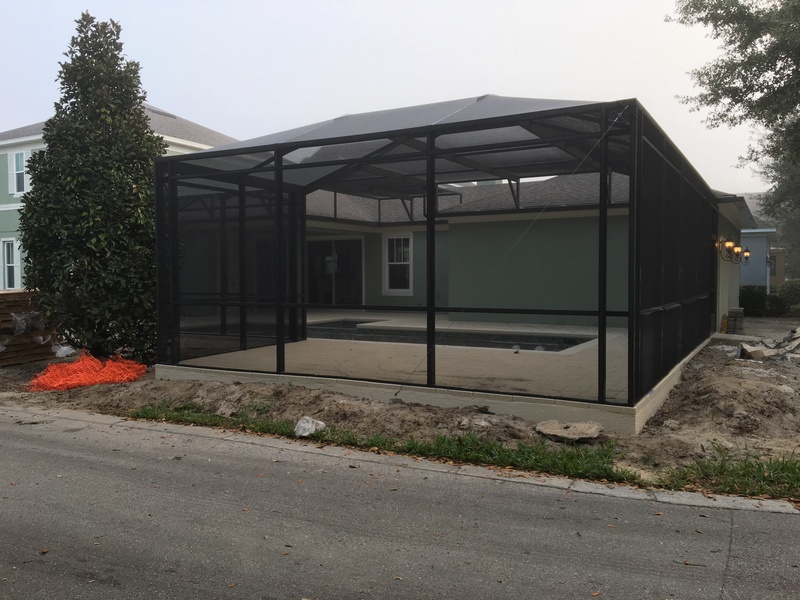 The screen enclosure was completed but, and this is a big one, they didn’t build it to the specifications approved by the HOA. In fact, the entire enclosure was changed such that the architectural foam would end up being too large in some places and missing entirely in others. The project should have been done by now, but what we didn’t know is that this mistake would push the project months past the originally promised date. In hind-sight, they could have torn the entire structure down and rebuilt it to the original specification in a shorter amount of time. January 12th, 2016. Happy New Year! 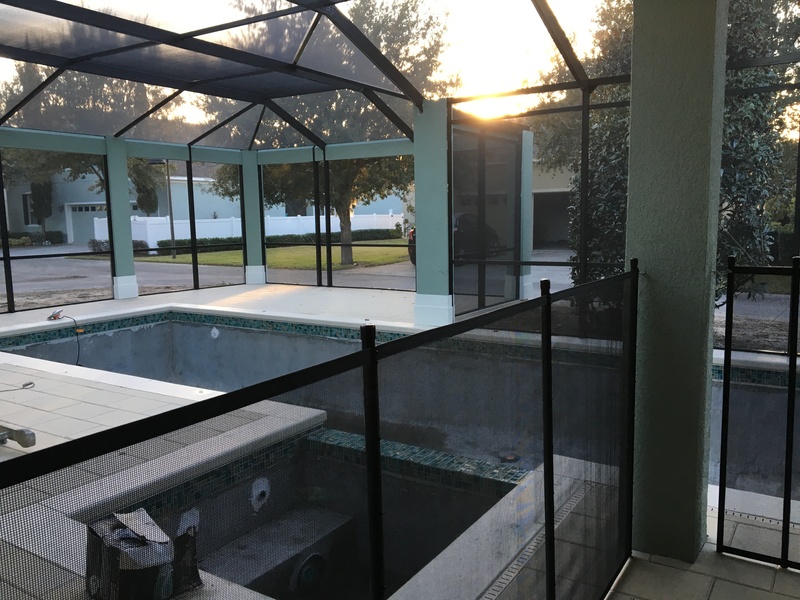 The safety fence is now installed so that’s something. January 25th, 2016. The foam accents are being installed. They aren’t quite right but are pretty close to what we expected. You can see the corner is about 6″ wider than it should be and they installed little booties on all the columns. We had asked for a very modern look with no accents, but that was somehow lost. The worst is yet to come, and we don’t even know it. When all was said and done, the foam install looked awful. We left in the morning and when we came back, the deed was done. They added art-deco accents along the tops, they completely forgot the two new columns at the end of the deck, and the booties were floating off the ground around the entire enclosure. Months go by with no action. The foam company has lost employees and is saying it will not be able to fix anything till the end of March. Make that the end of May. 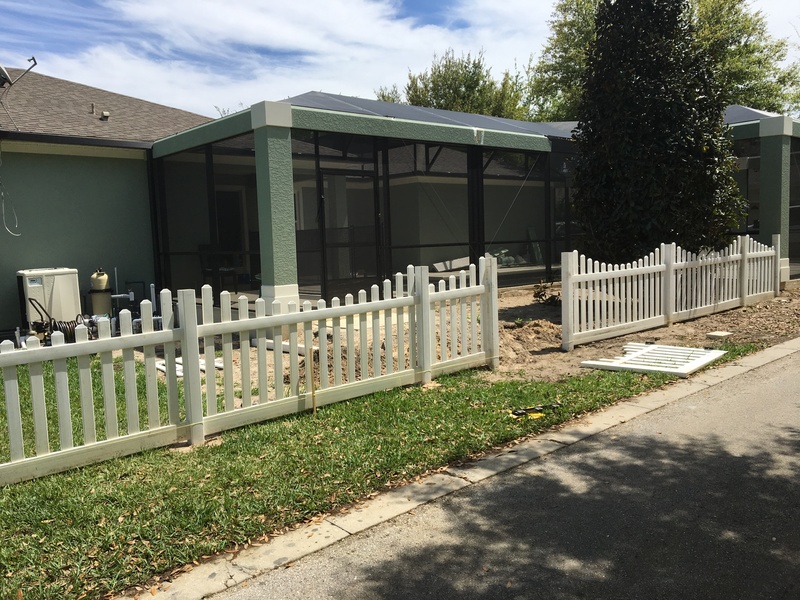 I was tired of waiting to get my garage and yard back so I decided to install the fence. They would just have to work around it. May 13th, 2016. I am tired of waiting to use the pool. It is now super hot outside and we are over 5 months past the original project deadline. 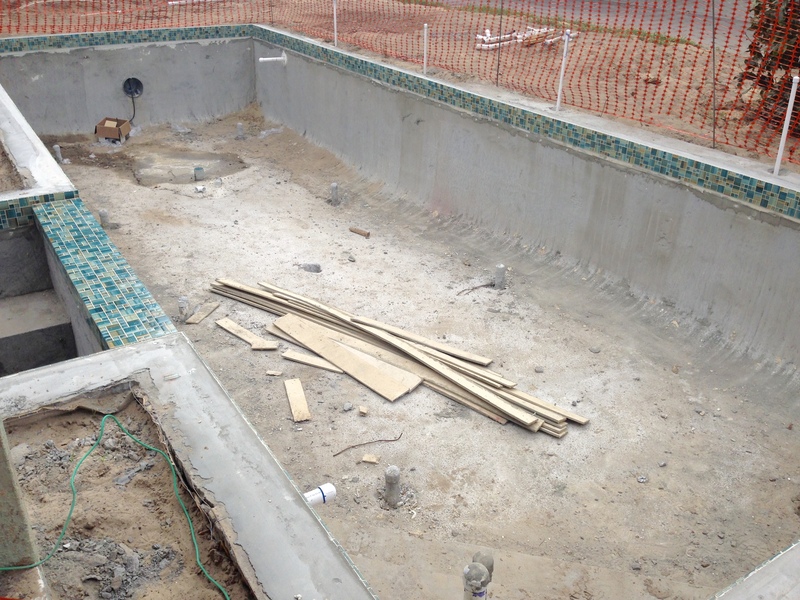 I asked for the pool to be finished while we wait for the new foam. 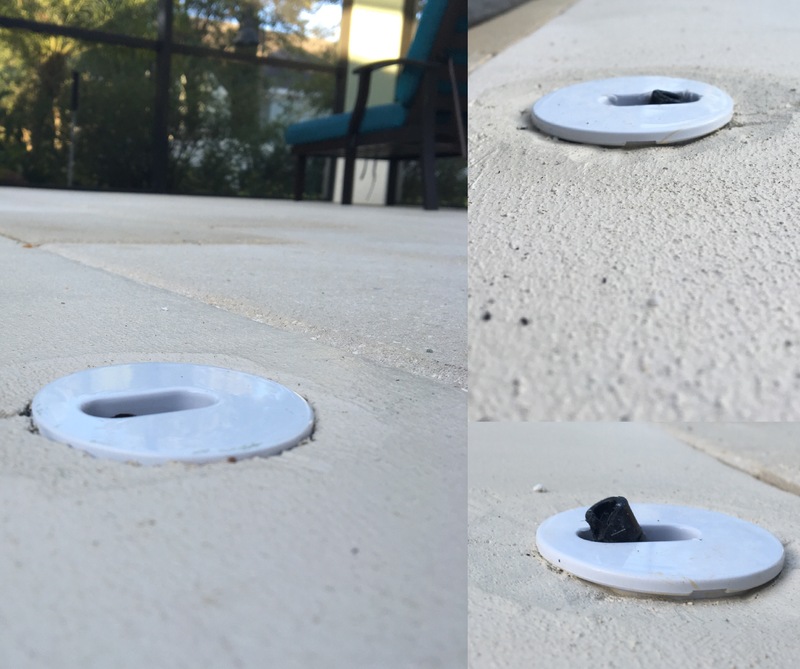 The installers of the quartz finish were about as sloppy as the deck pavers. 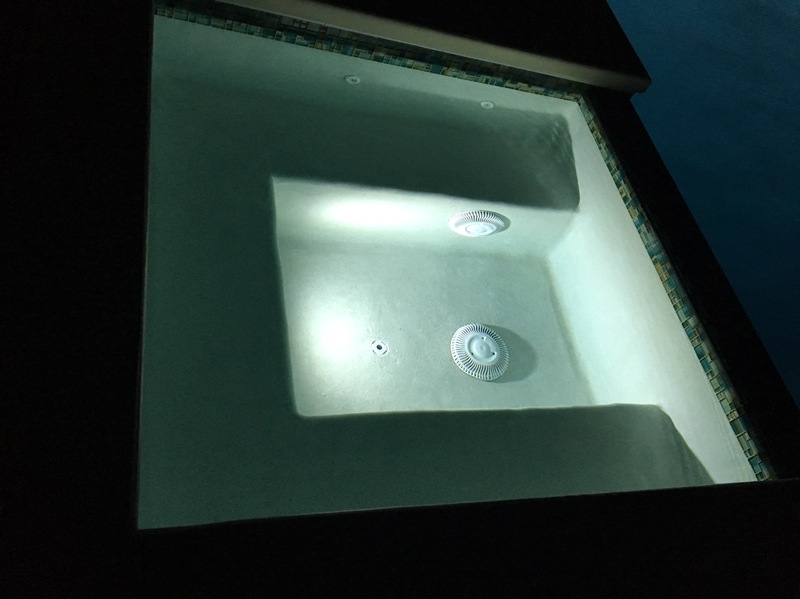 Again, it looks good in pictures, but it has many obvious flaws including an unclean finish, sloppy edges along the stairs and spa seating, over-spray into the tile grout, and trowel marks throughout the bottom. May 16th, 2016. Remember my wife was pregnant? Well, not anymore! Jasper was born today and he is a super awesome baby. 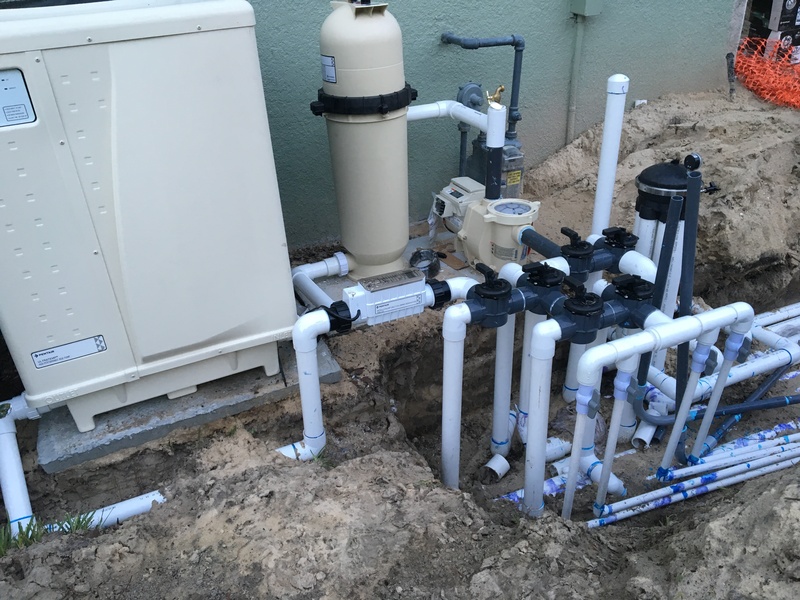 My wife made an entire person before the pool company could build a pool…pretty sad. But it isn’t entirely their fault, the foam people are still holding things up. I can’t keep waiting for them so the landscaping is going in pronto, if only the garbage truck would stop breaking the irrigation. June 13th, 2016. 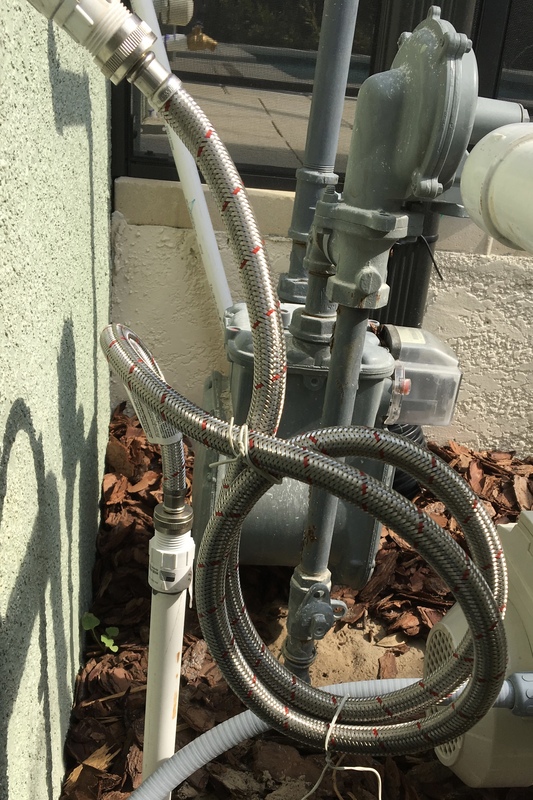 The pool auto filler is connected (sort of). It is at this time that I learn of a mistake that was made early on in the project. 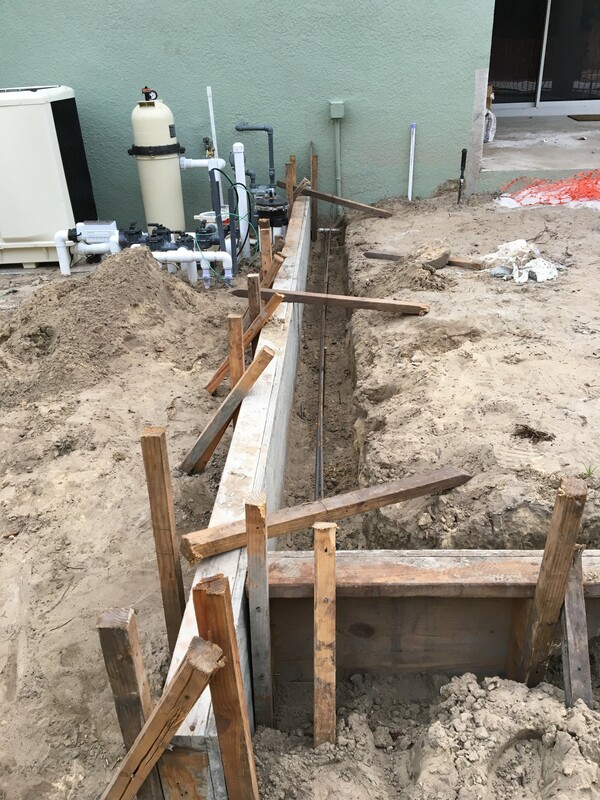 Unfortunately, it is too late for the separate valve to the outdoor shower to be installed. I had asked for the separate valve early on to make sure I could control the connection to the auto-fill and shower separately, but I guess they forgot. It’s a pain, but something I can address myself in the future. June 30th, 2016. The foam install has restarted. They didn’t paint anything correctly and forgot some pieces. It has been so long now that I am starting to feel defeated. I will just keep pointing out the errors and hopefully it will all be done someday. It is now August, 2016, and the foam people still have a few things to finish and repair. The in-floor cleaning system has finally been added into the automation system. I just got the remote controls working from my iPhone and am very happy that it was easy to setup myself. I did have to update the firmware on the protocol adapter myself, but my background in Software Engineering made that a piece of cake. I promise the next post will have a lot less complaining and a lot more pretty pictures of the finished project…when it is done. The project is done. Find out more here!